Welcome to The Press Gang, West London’s leading dry cleaning, laundry and ironing service. 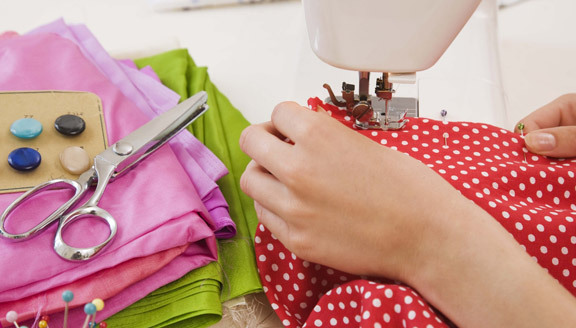 With dry cleaning shops in Brentford, Chiswick, Ealing, Hanwell, Richmond and Twickenham West London, we offer laundry services, dry cleaning, ironing as well as alterations and repairs including shoe repairs. We will also collect your laundry and dry cleaning, just call any of our shops on our contact page to arrange with our team or book online here. We clean the uniforms for Harrods staff, as well as preparing clothes used at the Queen’s garden parties, so you’ll find our experienced dry cleaners at The Press Gang know how to handle even the most demanding of laundry needs! Our specialists also know how to remove stubborn stains and put those creases back in for top quality results – and don’t forget, everything we do is guaranteed and insured for your peace of mind. Whatever your cleaning requirement we have experienced professionals with state of the art technology to deliver the best possible results. Along with regular laundry items such as suits, dresses and trousers, we also dry clean household items such as curtains and launder items such as duvets. Dry cleaning, laundry and ironing services throughout West London. With a solid and reliable reputation built on 15 years service to the community, The Press Gang are proud to provide dry cleaning, laundry and ironing services to residents and businesses in Brentford, Chiswick, Ealing, Hanwell, Richmond, Twickenham and throughout the London area. It’s one stop shopping for all your pressing needs. Book a collection or delivery online. We offer a collection and delivery service from your home or business address, perfect for those heavy curtains or duvets. We cover the Brentford, Chiswick, Ealing, Hanwell, Richmond, Twickenham and surrounding areas. Book a collection or delivery online here. Your clothes are fully insured at all times and cared for by experienced, caring and loyal staff. We use state-of-the-art processes and machines for the washing & cleaning and we use all our expertise to keep your fabric always in pristine condition. We also implement environmentally sound practices and always aim to deliver on all of our promises, without compromising the quality our clients demand. At The Press Gang we pride ourselves on the high quality of service we provide. We believe that the key to a successful business is to listen to our customers’ needs and do everything we can to help them in any way possible. You are guaranteed quality services, trust and above all, perfect skills. Regular customers return to us time and time again because they know that we will go that extra mile for them. As always excellent service, smiley faces and very welcoming Work done always on time, to good quality and reasonable prices. Been going since the shop opened (1996 Ed!) and very happy. Dear David, I just wanted to let you know how pleased Piers and I are that we discovered your shop all those years ago, during your first week of trading in Ealing. Piers has benefitted from lovely crisply ironed shirts and dry cleaning and I have been liberated from the ironing board! It’s also always a pleasure to have a chat with your efficient and professional staff. I can even occasionally practice my rusty Polish with some of them! Keep up the good work! All the best! Hi David, I am always delighted by the service provided by The Press Gang. Courteous and smiling staff and job always well done and on time. David, you have some excellent staff. Your “front of office” team and particularly the person who was there when we were talking (Riwana, Ed!) you are very fortunate and perhaps it’s because you might be someone they like working for! Hello David, I don’t know the name of the assistant who was on tonight (Nadia, Ed!) but she acknowledged me by name when I entered the shop, that’s pretty impressive to me, so very well done to you and your team. Dear David, I have used the services of your branch in Ealing Common since we moved to the area 5 years ago and have been extremely satisfied with the cleaning and workmanship especially the friendly service provided mainly by Riwana.